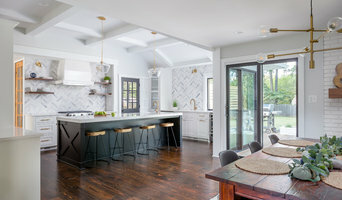 Chatham County's Premier Custom Builder 4X Best of Houzz Winner! 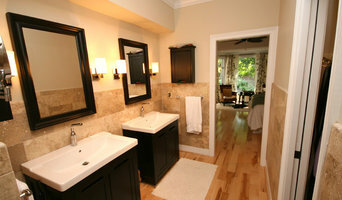 Home Upgrades, LLC in Raleigh specializes in transforming existing spaces into beautiful, new living spaces. A clean, well managed project is a top priority for us. Renovating older homes is not easy -- whether you need interior home renovations and remodeling, custom designed added space, or an entirely new floor plan, we are your renovation team. With more than 16 years of experience in home renovation and additions, Home Upgrades provides superior service to our clients while helping improve their investment. We'll provide you with the best home environment for your needs. We focus exclusively on residential spaces made for living life. Your personal residence is not a commercial residence and there are fundamental differences with renovating your space as compared to a commercial residence. Our specialized subcontractors are an integral part of each project and their can-do attitude makes an incredible difference that sets us apart. We specialize in residential spaces of all sizes and handle all the complex stuff so that you can maintain your normal routine as much as possible. If you are looking to remodel your dream home, give us a call at (919) 626-3319 or click the "Contact Me" button to send us a message. We look forward to working with you! DJ Rose & Son, Inc.
High quality residential remodeling and custom homes. We provide excellent communication and a thorough process to involve the customer in the creation of the beautiful new living spaces that will change how they live in their home. Best of Houzz 2014, 2015, 2016 - Asbury Remodeling & Construction has been servicing the residents of the Raleigh area for over a decade. Our professionals are talented and hard working individuals who possess the strength and knowledge in all areas of design, construction and project management. With our diverse and friendly team of industry professionals, we are committed to providing excellent quality services, competitive prices and having absolutely thrilled clients at the end of process and beyond! Because of this priority, we focus on establishing trust and open communication with our clients as we determine the goals for the project. We do this by being approachable and available at every step of the way to answer any questions or address any concerns. With over 50 years of combined construction experience, we know we have the background and expertise to help you create the home of your dreams – one that reflects your unique needs and lifestyle, meets your budget and standards bust most importantly, leaves you a satisfied customer. Whether you need room remodeling, outdoor living spaces, or home additions, call on Asbury Remodeling and Construction to discover why our clients keep coming back for all of their home improvement needs. We look forward to meeting you! With more than 40 years of remodeling experience behind me, I've seen it all. This vision allows me to do three very important things: • Quickly visualize both the possibilities and pitfalls inherent in your project. • Present you with intelligent options so you can make well-informed, decisions. • Pave the way for creating your masterpiece for far less than traditional means. Houses are my passion, and making them work and live better for you is what I thrive on. Most contractors approach home improvement from a construction viewpoint. That may seem obvious, but it leaves out a critical ingredient. My approach is from that of an artist, which I am. I can't stand boring and ordinary; not when it's possible to create something incredible, often for the same cost - maybe even less. If you’ve been thinking about making an improvement to your home, you should be aware of the following fact: You don’t have to settle for just a meat and potatoes, average, vanilla, sensible shoes, 1% milk-on-oatmeal, sort of home improvement. It can - and should - be spectacular. The end result of all of this is a long list of clients who speak very highly of me. I'm proud of that legacy, but no more proud than my clients are of their newly remodeled homes. Read my referrals to see what a few of them have to say. 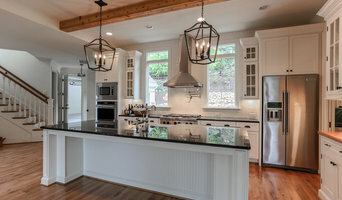 Wake County's Excellent General Contractors - 3x Best of Houzz! Neuhoff Custom Builders is a general contracting business specializing in high quality large scale additions and remodeling. We are committed to superior craftsmanship, outstanding service, and timely responsiveness. We bring nearly 20 years of remodeling experience, an unwavering commitment to quality, and a solid track record of satisfied customers. Because we want you to be an active participant in the remodeling process, we welcome your ideas and are flexible when it comes to changes after the project is underway. Our relationships with area architects and designers mean that if you can dream it, we can build it. H. Glazer Builder, Inc. is a full service company dedicated to providing high quality remodeling services. Our company brings over 35 years of experience and teamwork to each project. Our top priorities are scheduling, client comfort and attention to details. Over these past years we have successfully completed projects of all sizes and costs. Some of these projects include whole house renovations, additions, kitchens, bathrooms, exterior facelifts, sunrooms, decks and screened porches. We have the experience and knowledge to assist our clients regardless of the type of construction that is needed. Our dedication to customer satisfaction is evident in the fact that over 70 percent of our work comes from repeat business or former client referrals. We hope to maintain our relationships with our customers and feel a strong obligation to service their projects regardless of completion dates. Hart Construction & Development provides home building and development services. We specialize in custom homes, home additions, home remodeling, and new home construction. Welcome to Broyhill Wiles Design Build. Since 1999, we have devoted our passion, craftsmanship and expertise to our clients and projects based in the Southeastern and Midwestern United States. From the mountains to the beaches of the eastern seaboard, we have worked with our homeowners to envision and create distinctive high performance homes. Our approach to building implements green technology, with an awareness to reduce and minimize our impact on the land. With this awareness, we effectively bring together the modern approaches to create innovative ‘smart homes’ with age-old construction techniques, including Oak Pegged Timber Frames and Hand Crafted Log structures. With our varied expertise, including luxurious mountain lodges and modern timber frame homes, our team works with dedication to our clients to create unique homes that are engineered to last for generations. 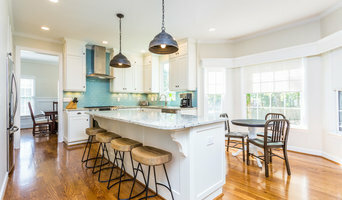 DK Gregory Custom Building and Remodeling has a team of experts in every field of the residential remodeling business. When you choose us for your project, you don't have to look any further. We guarantee satisfaction from start to finish. We have an A+ rating with the Better Business Bureau. Sadler Construction specializes exclusively on Designing, Renovating and Constructing barrier-free/Universal Design custom homes and remodels. Our custom homes and remodels are designed for your future by being fully accessible for whatever life may bring your way. We at Sadler Construction believe all homes should be built using Universal Design features and thus eliminating the need for future renovations should there be changes in mobility, health or additions of other generations living in the home. Build your home with your future in mind and save money down the road. Why should I hire a contractor or civil engineer in Raleigh, NC? Civil engineers or building contractors, often play the role of a project manager. They oversee the entire remodeling or new home construction project and facilitate all day-to-day tasks that move it toward completion. Construction contractors can be involved from an early stage and can work closely with the architect to review plans, arrange for permits and inspections etc. In addition, Raleigh, NC general contractors are responsible for hiring subcontractors for the majority of jobs, such as electrical work, painting or plumbing. Most importantly, contractors should be on-site regularly to inspect the progress and resolve issues and track progress. How do I find a good contractor in Raleigh, NC? 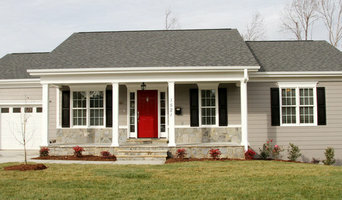 Finding a dedicated Raleigh contractor to build or renovate your home can be a challenge. Choosing the wrong contractor can lead to delays, bad quality of work and even legal problems. To avoid such problems, it's essential that you do your homework before deciding on the right general contractor. Research civil engineers and contractors in Raleigh, NC on Houzz, look through their work and read reviews to understand their style before you reach out to them for bid or quotes. One you have narrowed down your choices, meet with them to discuss a few aspects like the details of your project, the budget and the timelines. Also, always insist on having a written agreement before getting started on the project. Find a good Raleigh, NC contractor or civil engineer on Houzz. Narrow your search in the Find Pros section of the website to contractors. You can also search for photos and contact the contractor who worked on the project.